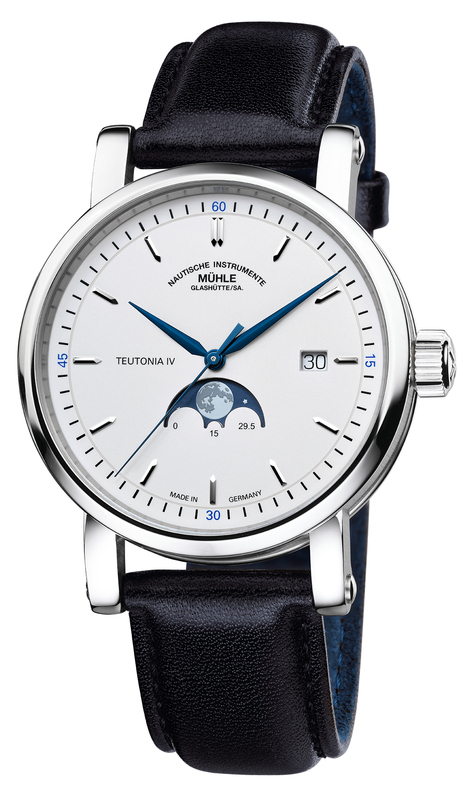 Robert Mühle founded his own company in Glashütte in 1869 making measuring instruments for the village’s other watchmakers and went on to produce speedometers, rev counters, car clocks, nautical instruments and, eventually, watches. Five generations of the family later and Mühle Glashütte, now run by Thilo Mühle, is hitting its stride as a manufacturer of fine mechanical watches. It is marking its 150th anniversary this year with a special rotor that will be used in Teutonia Sport I, Sea-Timer BlackMotion, Panova Grün and Teutonia IV Mondphase watches. Unlike the regular Mühle rotor, this new anniversary version contains a middle segment made of aluminium, a rare choice since the oscillating weight needs the mass to wind main springs. It is given heft by a special semicircular ring made of heavy metal, which is connected to the outer edge of the middle segment. The rotor is given a blue color through an oxidization treatment and laser-engraved with the anniversary logo. 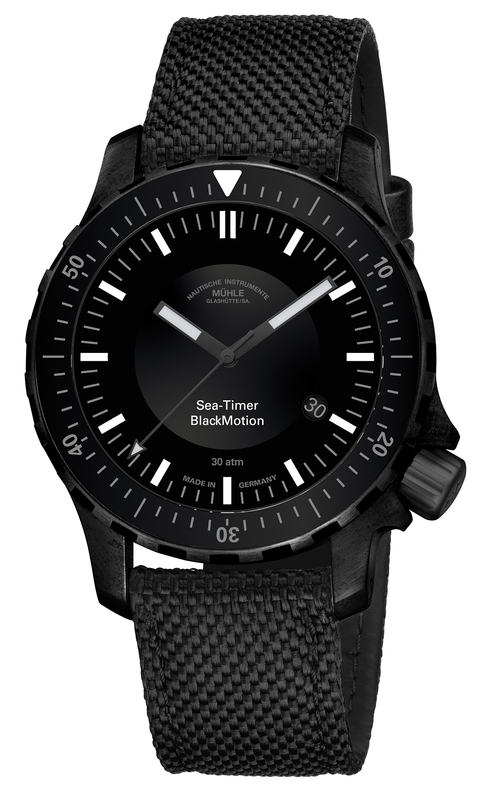 Two of the more striking pieces launched at Baselworld and using the anniversary rotor were the sporty Sea-Timer BlackMotion presented in an all black case, dial and bracelet style and the more classical Teutonia IV Moonphase with a lifelike depiction of the moon at 6 o’clock on the white dial.